A couple of open mike nights introduced the duo of Andrew Ruddy and Monique Ritterto fellow musician Ryan Burdick. Burdick caught Ruddy and Ritter at Lake Effect and asked who they were. The next week, the three shared a song at Lock 24. So the musical chemistry began. 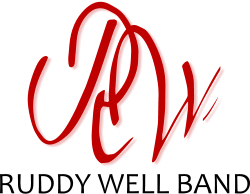 Four years later, Ruddy and Ritter, of Pulaski, and Burdick, of Baldwinsville, are cutting into a huge slice of Americana pie as The Ruddy Well Band. They brought banjo, fiddle, guitar and their voices to The Post-Standard studio this week to perform the song “One Second Love” for the Music Notes Performance video series. “Whenever we play, it always turns into a jam session,” guitarist Burdick says of the three. “We play to entertain ourselves,” says banjo-and-more player Ruddy. They were part of a four-piece called Engroovement, but pared down to three to put out a CD, “Little Blue Marbles.” They love writing songs. “One Second Love” was inspired by a trip Ruddy took to a festival with his sister, Cristin. Storytelling is a big part of the trio’s art. “In the 60s, they told stories to a seated audience,” says Ritter. “We are attempting to do our part to change the dynamics of music in our area,” says Ruddy. Wrineejanna on Common Ground. The Kickstarter Campaign.